Feb. 19, 2015, 12:55 p.m.
By Joseph Lichterman @ylichterman Feb. 19, 2015, 12:55 p.m.
HARTFORD — On Feb. 4, the New Canaan Advertiser, a community paper in Connecticut, broke a big story about one of the town’s most famous residents: Brian Williams had recounted the false story of his helicopter being shot at in Iraq during a speech he gave at a 2005 Veteran’s Day ceremony in New Canaan. Two days later, Joshua Fisher, the editor who wrote the initial story, brought up the story about Williams again. This time, however, he was discussing it on air — on HAN Radio, the online-only radio station run by Advertiser owner Hersam Acorn Newspapers, which was broadcasting live from the annual Hartford Boat Show that day. “We’re ripping and reading our own stories on air,” Fisher told me as I joined him and the other hosts in on an on-air discussion about online radio as part of their “Behind the News” show, one of four hourlong shows they broadcast from the boat show that day. 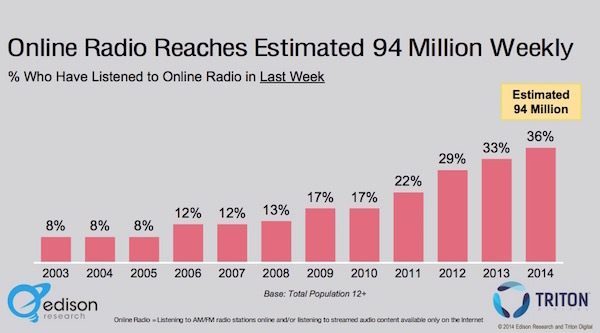 It’s easy to understand why else Internet radio might be appealing to local newspapers. Radio has traditionally been a local business — bound by the strength of a transmitter’s signal the same way a newspaper was defined by how far delivery trucks could drive in the morning. Local news and talk radio has been reduced to just NPR stations — if that — in many markets, leaving a potential market open. And the same force that worries terrestrial broadcasters — the coming of the connected car, where tuning into a podcast or streaming radio station is just as easy as finding something on your FM dial — is a potential opportunity for newcomers. Add in the potential synergies of ad sales — upselling a print or digital advertiser to throw in some radio spots — and the ability to get more use out of the news content they’re already creating, and it makes sense that some papers would want to test it out. 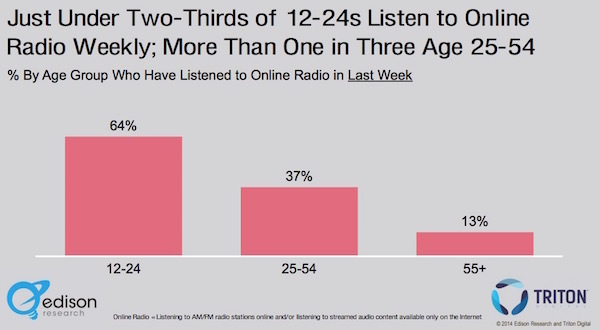 An estimated 94 million Americans over the age of 12 listen to online radio each week, according to a 2014 study by Edison Research. In addition to competing with other sources of online radio — think Pandora or iTunes Radio — newspaper-launched online stations also have to compete with traditional terrestrial radio stations, many of which also now stream online and are, of course, still omnipresent in every car. HAN Radio launched in the fall of 2013 after Rob Adams, now HAN Radio’s manager, pitched the idea of broadcasting high school sports play-by-play. “High school sports don’t get the coverage they should,” Adams said. (On the day I spent with HAN Radio, they interviewed the Greenwich High cheerleading coach.) But as the high school broadcasts drew an audience, Hersam Acorn decided to continue adding shows and other types of broadcasts. From May through November last year, HAN Radio saw between 38,000 and 44,500 unique listener sessions each month. Last April, Kentucky senator Rand Paul sat for an interview with Boston Herald Radio, the Boston tabloid’s online radio station. As Paul spoke to the Herald’s on-air host, the paper’s web staff put a breaking news banner up on its website based on comments he made during his radio interview. After completing his radio interview, Paul then was interviewed by a Herald print reporter. That afternoon the Herald posted audio from his radio interview, a video of that interview, and a print story. Paul was also the lead story in the next day’s paper, with a photo of him taken in the Herald’s radio studio on the cover of the tabloid. “There’s constantly this integration of print, web, radio, and we’re intensifying it,” Herald editor Joe Sciacca told me when I visited the Herald’s radio studio last month. 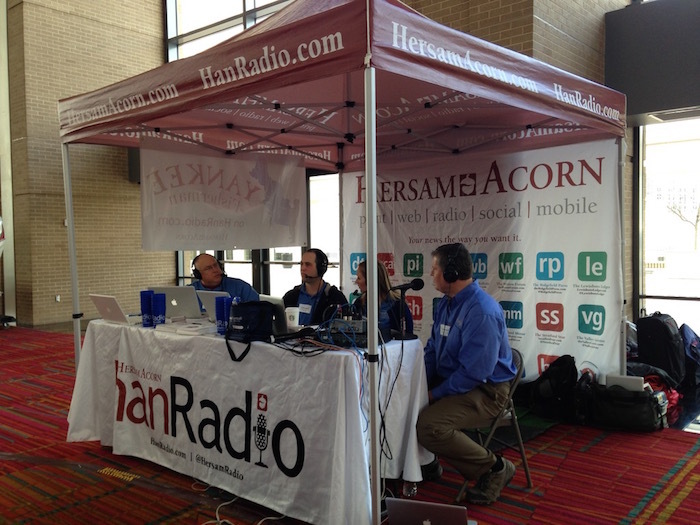 The prioritization of radio has allowed the Herald to do things like host a gubernatorial debate from the studio in its newsroom or to broadcast from Radio Row at the Super Bowl. The Herald launched its radio station in the summer of 2013, and when news now breaks, its protocol is to get it on the radio first before posting it online or to social media. “We go in, we tell the news team in the studio, they break into whatever programming,” Sciacca said. 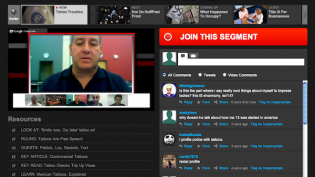 “The reason we do that is that it’s such a quick way to reach it to an audience; get it out there. And then immediately on the heels of that, we tweet it out, put it up on Facebook, get it out on social media — you know, within a matter of minutes — and then we put it up online,” he added, noting that this whole process should take five minutes or less. Newspaper-run radio broadcasts also allow the papers to highlight and promote their staff in a new way. Last year, the Omaha World-Herald began producing “The Bottom Line,” a live sports and entertainment radio program. University of Nebraska football is a huge deal year-round there, and executive editor Mike Reilly told me the World-Herald was tired of essentially giving away the expertise of its reporters and columnists who would appear on local sports talk radio. Despite the optimism of finding new ways to reach audiences, it’s still been a slow process for stations to grow an audience and attract advertisers. Advertising has also been slow for Boston Herald Radio, but the station has been able to introduce new forms of advertising by integrating advertisers into segments of its shows. Last fall, a marketing manager for Dunkin’ Donuts appeared on the Herald’s morning show to promote Dunkin’s new dark roast coffee. “Sales love it, we love it in programming, and the clients love it,” said Herald Radio executive producer Tom Shattuck. Because the costs associated with Internet radio are fairly low — at bare minimum, you need little more than a microphone and a computer connected to the Internet — publishers are willing to invest some time in improving and building out their radio offerings as they see potential growth in online radio. Still, not all publishers are able to make it work. Dig Boston, a Boston alt-weekly, shut down its Internet radio station last March. The station was broadcasting live 12 hours per day and had two full-time employees. The ideas is that by joining the network, the upfront costs for papers will less — but AAN is hopeful they will also draw in a larger audience because of the national focus, which will in turn attract sponsors and advertisers. “Hopefully we can monetize this with new and different kinds of people,” Shackleford said. Despite the slow growth, there’s still potential for Internet broadcasters to take advantage of younger audiences movement to online radio. Sixty-four percent of Americans between the ages of 12 and 24 listen to online radio weekly, the 2014 Edison Research study found. 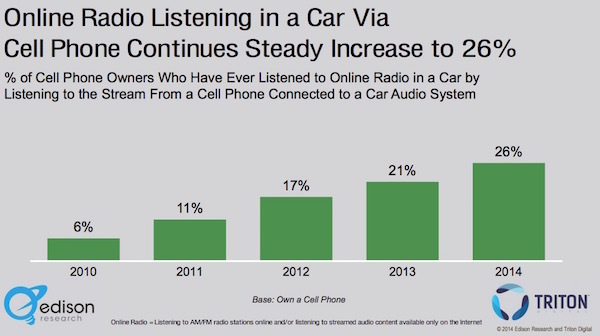 Twenty-six percent of Americans have also listened to online radio in their car streaming through their cell phone. (That goes up to 43 percent if you just count people between between the ages of 12 and 24.) And though it’s easier than ever to connect a smartphone to a car through bluetooth or an AUX cable, online radio still has a hard time competing with the ease of traditional terrestrial radio. 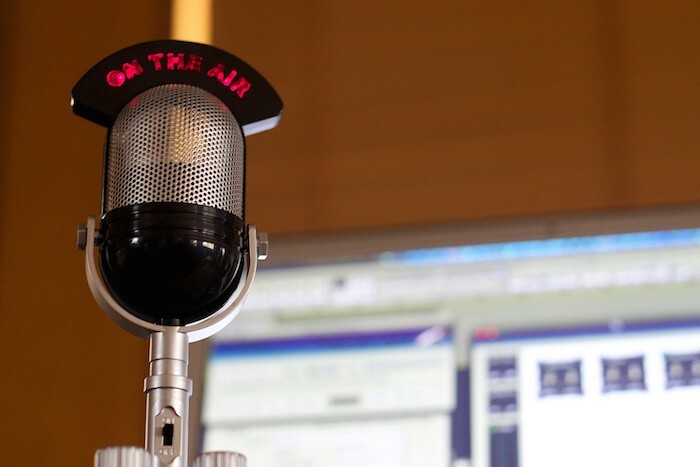 Listeners can also hear some of the online broadcasts on terrestrial radio, as both the World-Herald and the Herald have struck deals with a handful of local radio stations to simulcast the broadcasts. The papers all heavily promote their online stations highlighting the ways they can listen to their shows, whether it be from their own news apps, third-party apps like iHeartRadio or TuneInRadio, or streaming on their websites. Photo of a radio by Alan Levine used under a Creative Commons license. POSTED Feb. 19, 2015, 12:55 p.m.
Lichterman, Joseph. "Internet birthed the radio star: Local newspapers are hoping online radio can be a growth area." Nieman Journalism Lab. Nieman Foundation for Journalism at Harvard, 19 Feb. 2015. Web. 20 Apr. 2019. Lichterman, Joseph. "Internet birthed the radio star: Local newspapers are hoping online radio can be a growth area." Nieman Journalism Lab. Last modified February 19, 2015. Accessed April 20, 2019. https://www.niemanlab.org/2015/02/internet-birthed-the-radio-star-local-newspapers-are-hoping-online-radio-can-be-a-growth-area/.